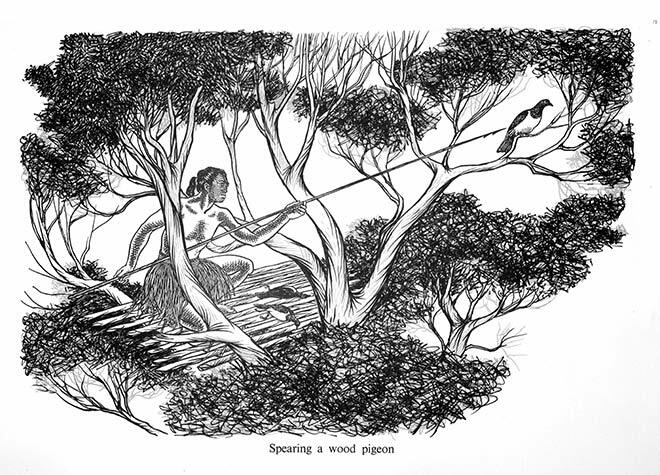 In winter, Māori set traps and hunting platforms in miro trees to catch kererū (native pigeons) that came to eat the seeds. The birds were easy to spear or trap after they had fed. Kererū were also hunted by Europeans using shotguns. Under the Animals Protection Act 1880 they were classified as ‘native game’ and could legally be hunted at certain times of the year – until 1921, when they received absolute protection. The last open season for kererū was in 1911.